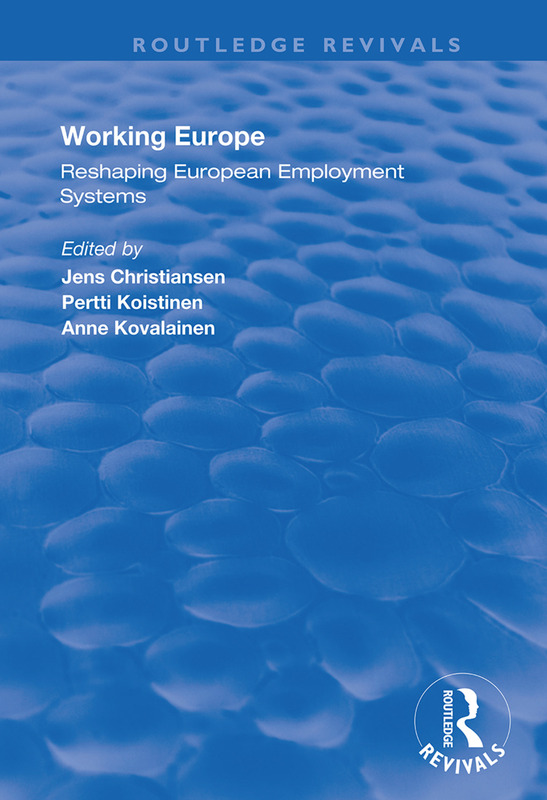 Published in 1999, Working Europe: Reshaping European employment systems offers a fresh analysis of recent changes in labour markets and the restructuring of welfare states. The analyzes presented in the articles not only focus on labour market changes, but take up the important issues of: * How labour markets have been regulated and directed * How the various social security systems offered by the welfare state are related to the questions of labour markets and employment systems * How efficient labour market policies are in reducing unemployment * How employment is locally created and initiated * How the gender system is related to employment systems. This book is the first to offer a full picture of the restructuring of the employment systems and the complex relationship between employment, the welfare state and concepts of work. Do Employment and Income Security Cause Unemployment? Toward a Governance of Employment? Shorter Working Hours and More Jobs?